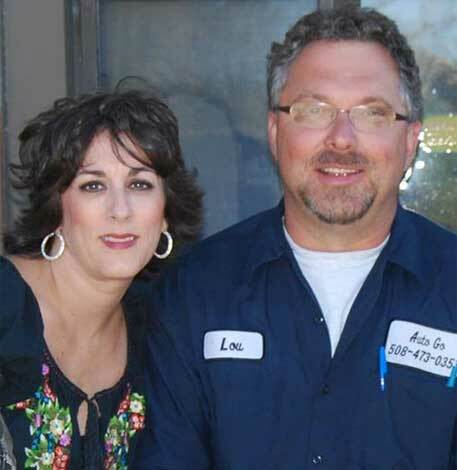 John Lowinski-Loh and his wife, Cheryl, have owned and operated Auto Go, Inc. in Milford, MA since 1985. From childhood on, John has always had a passion for cars and trucks and attended vocational school to specialize in the automotive repair field. After graduating, he worked for a local Shell station before venturing on his own with a stocked mobile truck. For several years, John fixed his customers’ vehicles on location, building a loyal customer base in the Milford area. When the business grew beyond what he could handle with his truck, John decided it was time to get a building, and Auto Go, Inc officially put down roots on Charles River Street. Over 33+ years, Auto Go, Inc. has grown almost exclusively through word-of-mouth. Thank you everyone who has referred friends and family to us and helped us be where we are today! Today, John has over 40 years of automotive experience and still loves helping people with their mechanical needs. He is an expert at diagnostics, undercarriage repairs, computers, alignments, and simply talking to drivers about auto repairs in a friendly, honest, and respectful manner. In all instances, our shop maintains the highest level of integrity with our customers, automobile manufacturers, and employees, so that we may have a positive impact on our community and everyone we interact with each day. We at Auto Go, Inc. value your business and look forward to serving the Milford area for many years to come. Please contact us if you have any questions about our auto repair shop or the car and truck repair services we offer. We look forward to hearing from you! Not many Milford area auto repair shops can claim the number of auto industry certifications and affiliations we have at Auto Go, Inc. Through earning these certifications, our goal is to further build customer confidence and trust.